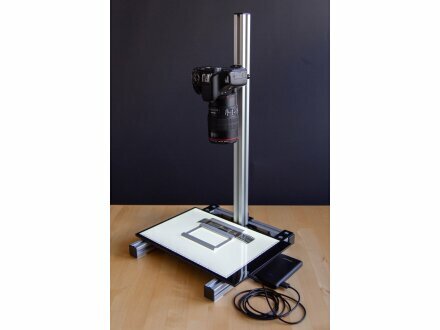 The copy stand that can be built with this kit, is ideal to help you digitse negatives or slides with your digital camera. The stand keeps the camera parallel to the picture plane. 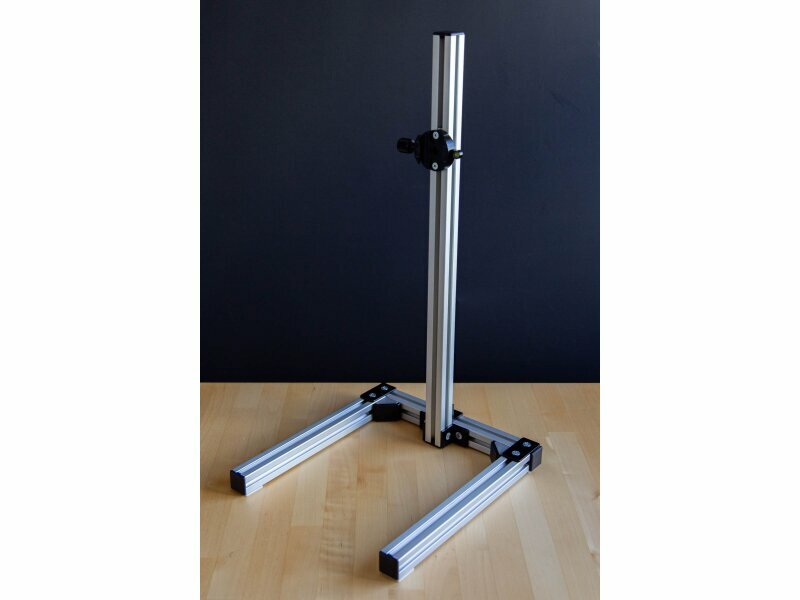 You need to add a tripod clamp & plate separately, but the required holes and screws are included in the kit. We suggest an Arca-Swiss compatible clamp with pre-drilled holes, such as the Andoer DM-55, which should be easy to find online. 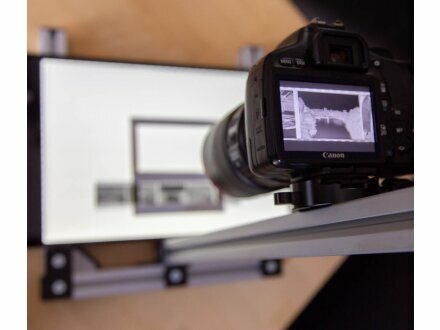 It's possible to change the general height of your camera by releasing 2 screws. Note: you will have to provide your own background lighting, there are affordable LED-based light tables available online. You can also provide a negative holder (example: pixl-latr.com).